Physical therapy modalities can help you reduce pain and restore your mobility after an accident or injury. 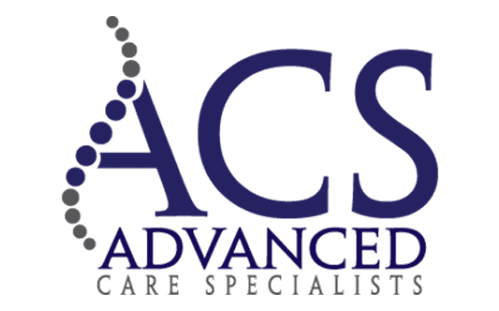 Advanced Care Specialists in Racine and Mount Pleasant, Wisconsin, can identify techniques that help you prevent the loss of mobility and increase your quality of functioning. More than half of all Americans suffer from body pain, but you do not have to live with it. Call the office or book your visit online to speak with a specialist who develops a plan designed for you. What are the benefits of physical therapy modalities? Through physical therapy modalities, the staff at Advanced Care Specialists can assist you in identifying the source of your pain, treating your movement problems, and accelerating your recovery after an injury. Rather than taking opioids or other drugs, you can find long-term relief from pain through physical therapy modalities — without the risk of prescription treatments. What can I expect from physical therapy modalities? Physical therapy modalities at Advanced Care Specialists can help you prevent further injuries and the loss of movement. While working together with patients who have orthopedic problems, the staff uses physical therapy modalities to help you to regain function and improve your mobility. The Advanced Care Specialists staff measures your muscle strength, joint range of motion, endurance, and balance. They look for weaknesses that could be causing pain or reduced function and then formulate a treatment plan specifically for your needs. The staff specializes in treating back, neck, hand, and shoulder pains. Or they may concentrate on pre- and postsurgical care, sports injuries, or general rehabilitation. Physical therapy modalities can assist athletes by identifying potential mobility problems and establishing exercise programs that include preventive measures. How long do physical therapy modality visits last? The length of time physical therapy modalites lasts is dependent on your individual diagnosis and the severity of your ailment. Each session, which typically lasts 30-60 minutes, is dependent on your recovery process. Are you ready to see if physical therapy modalities are right for you? Call the office today to schedule an appointment or book your consultation online.